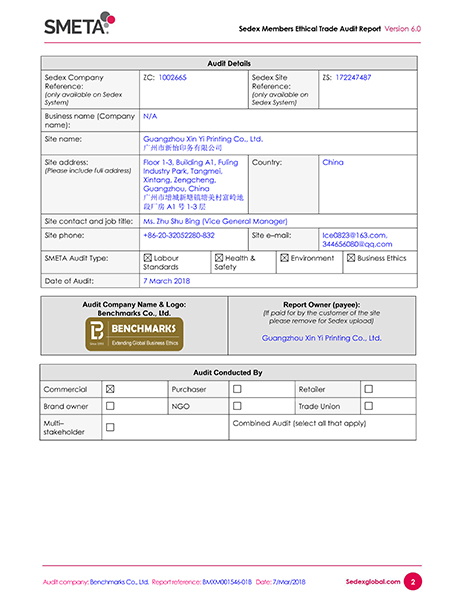 Established in 1998, Xin Yi passed the ISO9001:2015, ISO14001:2015, audit of Disney International Labor Standards Group , BSCI Social Responsibility Supervision System, OMEGA Compliance, Sedex Members Eth ical Trade. 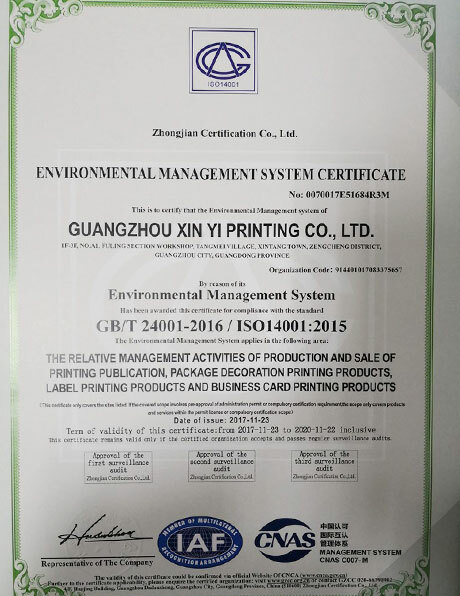 Guangzhou Xin Yi Printing Co., Ltd., the vice-president unit of Packaging Association of Guangzhou, is the fixed-point printing enterprise of provincial and municipal governments all the time. 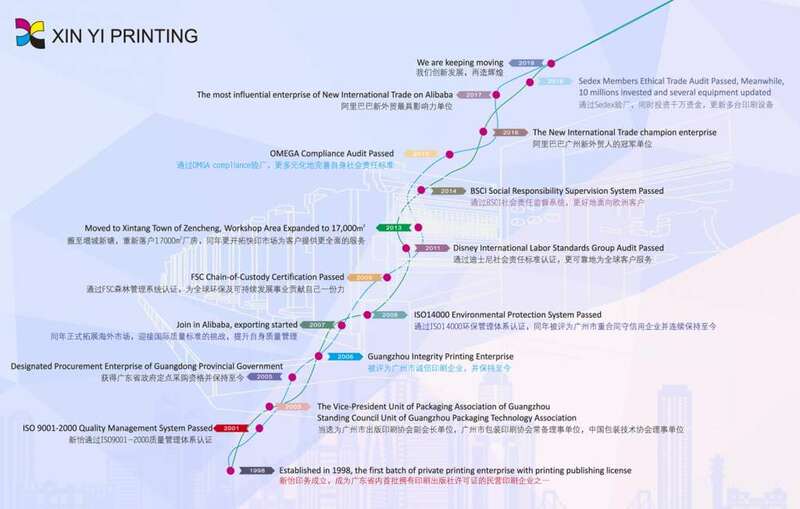 Founded in 1998, XinYi has been invested 48 millions yuan, there are above 17,000 square meters existing production plant, office, living area. 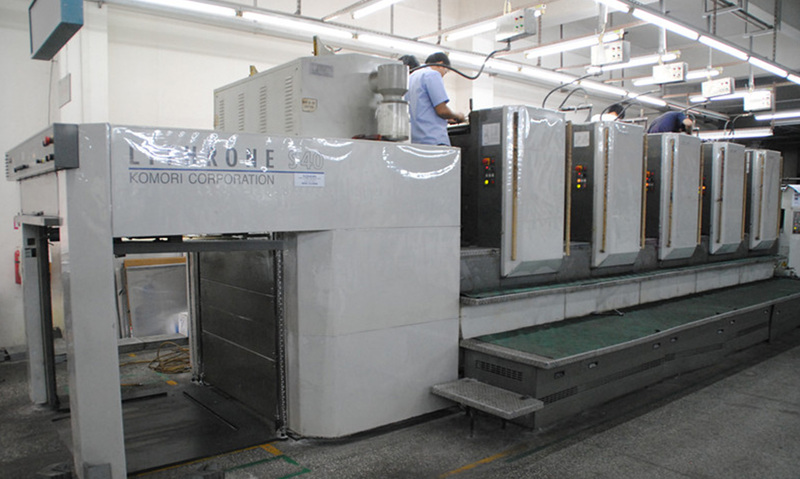 Imported US Kodak Automation Plate Making System and Poly Digital Color Management System, as well as advanced machinery and equipment from Germany, Switzerland, Japan, etc. 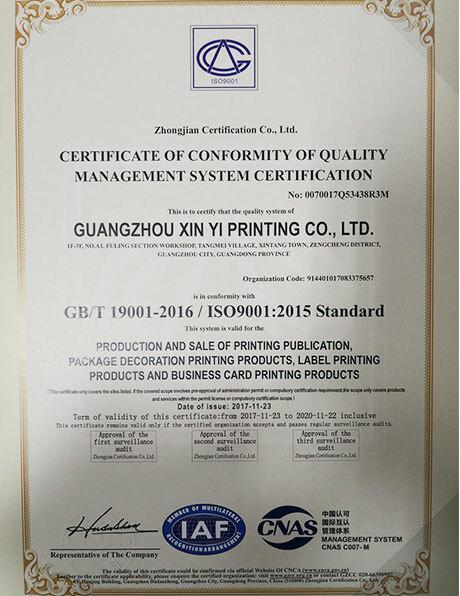 After more than 20 years of development, Xin Yi has become the benchmarking enterprises of book printing in printing industry, goods well sold at home and abroad, and received great favor by customers. 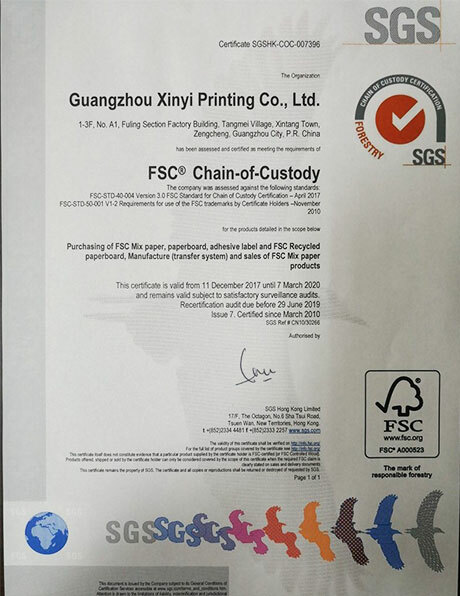 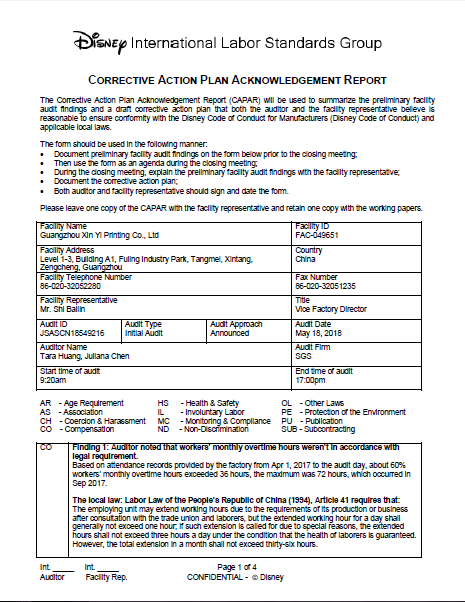 In line with the principle of Integrity management and Customer service, Xin Yi Printing passed the ISO9001:2015 Standard Quality Management System and ISO14001:2015 Environmental Management System, as well as Disney International Labor Standards Group Audit, BSCI Social Responsibility Supervision System, OMEGA Compliance Audit, Sedex Members Eth ical Trade Audit and so on. 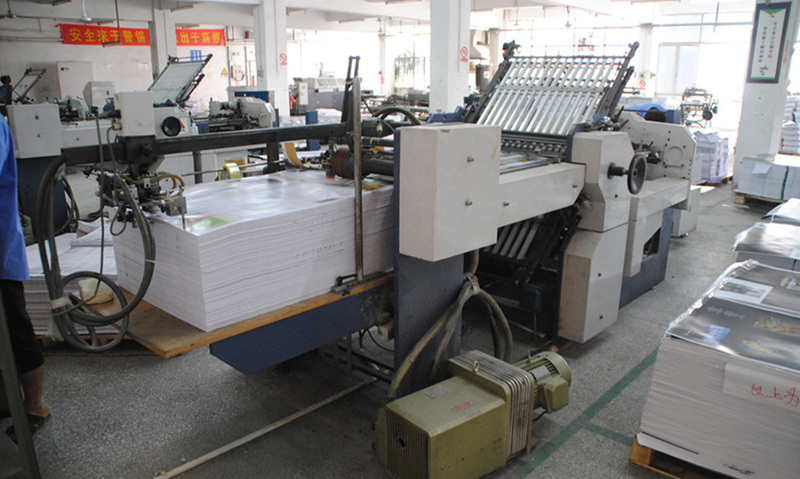 All kinds of BOOKS with different binding methods, including saddle stitching, butterfly binding, perfect binding, spiral wire-o, traditional thread stitching and hardcover sewing binding, pop-up board books, jigsaw puzzles learning cards, electronic talking pen book, etc. 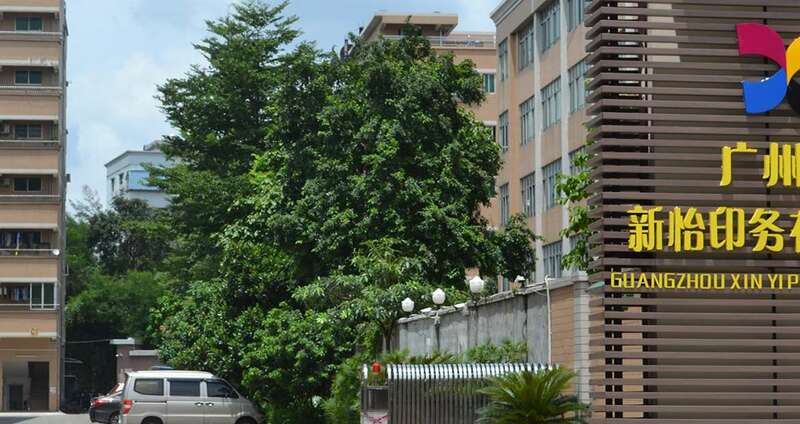 Various NOTEBOOKS with PU leather, fabric, cloth-paper, PVC, paper and paperboard cover. 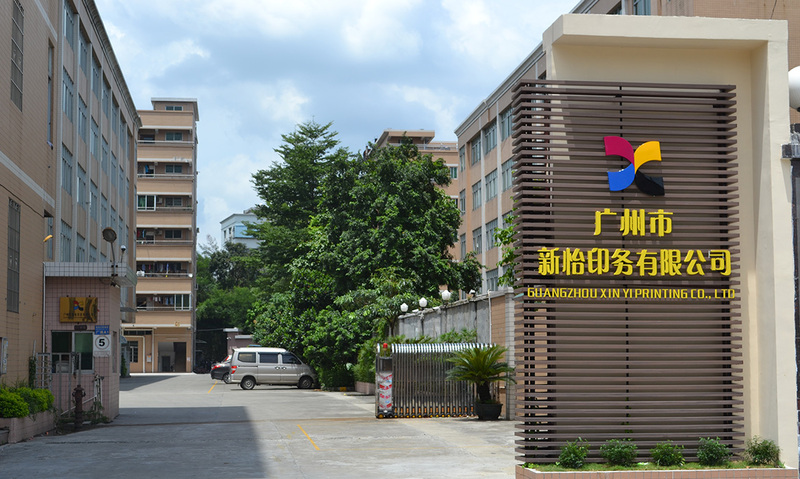 PACKAGING BOXES for cosmetic, medicine, food, toy, gift, etc. 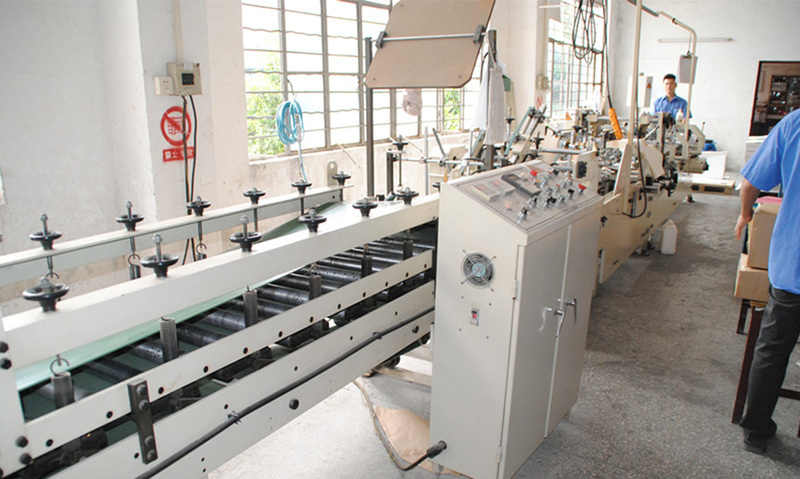 Research and development customized products in printing and packaging area.